Cascais, Portugal, July 21st 2018 – Today was the final day of racing in the coastal town of Cascais who hosted the third stage of the 52 Super Series, the sailing circuit dedicated to TP52 yachts that started last May in Croatia. It was an exciting and highly competitive event, with a fleet of nine TP52 yachts giving battle in the Atlantic waters of Portugal to obtain the world title of one of the most prestigious classes in the world. The strong wind and sea conditions of Cascais seriously challenged all teams. Luna Rossa experienced several lead changes throughout the event: some good placements, including a win and several podium results were alternated with some less favourable outcomes. Notwithstanding a frustrating incident in which a net got tangled in the appendages during the coastal race, the team was able to make an unexpected comeback. Some technical issues on the first and last day of racing further hindered the team’s quest for the world title. The races were considered positively as they allowed the team to test both its boat and crew performance in more extreme conditions. Luna Rossa, following the victory of the June event in Zadar, closes this event of the circuit in fifth place. Max Sirena, team director and skipper of Luna Rossa: “This world event started on an uphill for us. We had some breakages in our bow hydraulics on day one but we were able to get things working on time for the second race and the team reacted very well. Were haven’t been very lucky at this round, even though in sports luck is a marginal factor, you need to be looking for it. Today the day had started well but then we broke a backstay on the last downwind. We had to change it and we had two sailors up on the rig for 30 minutes, it wasn’t easy. We will have a lot to analyse when we get home but we’re ready to take on the racing in Puerto Portals”. Vasco Vascotto, Luna Rossa tactician: “We made several mistakes, but now we need to be smart in our analysis of what happened in order to be competitive in our next race. In Sibenik as well things didn’t go the way we expected but we reacted positively. For the next phase we need to concentrate and get ahead right away”. Jimmy Spithill, Luna Rossa strategist: ““This is the opportunity to learn something. Keep the feeling but look at it in a positive way”. 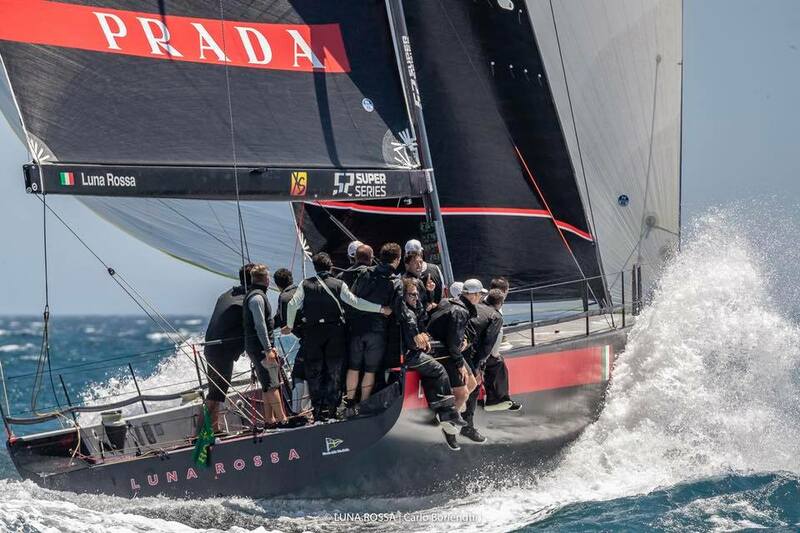 The TP52 Luna Rossa will sail again next month in Puerto Portals, Majorca. As was in the past two events, it will be possible to follow the races live directly on our web site from August 21st to August 25th.